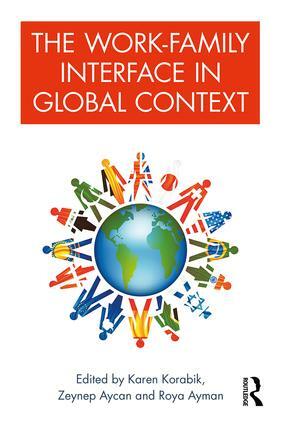 Based on a sweeping, ten country study, The Work-Family Interface in Global Context comprises the most comprehensive and rigorous cross-cultural study of the work-family interface to date. Just as work-family conflict is associated with negative consequences for workers, organizations, and societies, so too can the work and family domains interact positively to enhance or enrich one another. Drawing on qualitative, quantitative, and policy-based data, chapters in this collection explore the influence of culture on the work-family interface in order to help researchers and managers understand the applicability of work-family models in a variety of contexts and further conceptualize work-family interactions through the development of a more universal knowledge. Karen Korabik, University of Guelph, Canada. Zeynep Aycan, Koç University, Turkey. Roya Ayman, Illinois Institute of Technology, USA. Artiawati, University of Surabaya, Indonesia. Anne Bardoel, Monash University, Australia. Anat Drach-Zahavy, University of Haifa, Israel. Leslie B. Hammer, Portland State University, USA. Ting-Pang Huang, Soochow University, Taiwan. Donna S. Lero, University of Guelph, Canada. Tripti Pande-Desai, New Delhi Institute of Management, India. Steven Poelmans, EADA Business School, Spain. Ujvala Rajadhyaksha, Governors State University, USA. Anit Somech, University of Haifa, Israel. Li Zhang, Harbin Institute of Technology, China.